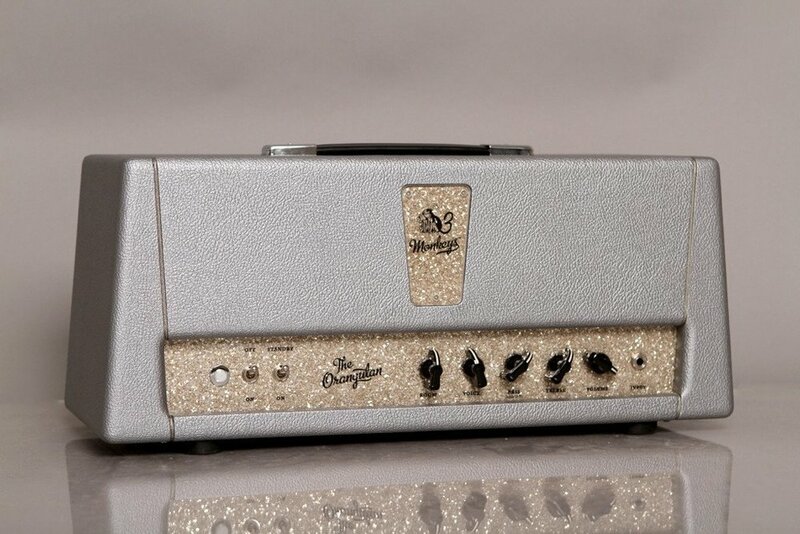 The Orangutan is a dynamic four 6V6 amp with a unique six position rotary VOICE switch. The VOICE switch changes both the gain structure and the tone as you rotate it clockwise. The VOLUME control interacts with the VOICE switch to produce shimmering cleans and smooth overdriven tones. The BASS is more like a global low frequency control, while the TREBLE acts as a reverse cut. The LIFT switch disables the BASS control to provide boost and clarity. ROOM is our focused reverb, no surf wash here. While this amp is a no gain monster, it is rooted in the classic tones of 70s rock. Not trying to specifically mimic any one amp the Orangutan has it’s own distinctive voice, suited to both stage and studio. Note: You can run a pair of EL34’s or 6L6’s in either the inner or outer pair of sockets (not both). A rebias is recommended however. Rock on!